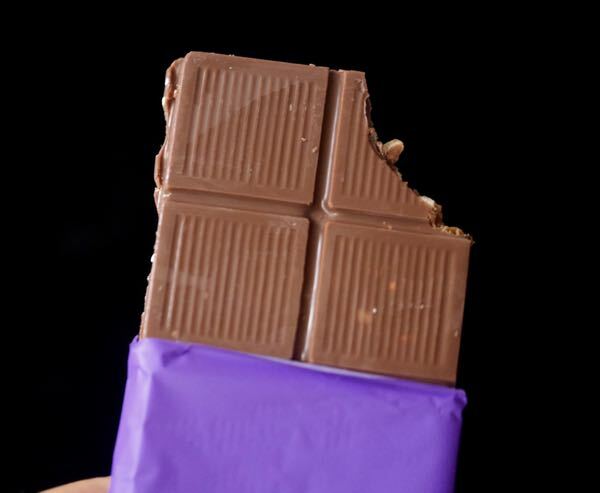 Today's Milk Chocolate Peanut Butter Crunch bar was made for Chocolino (Fresno, CA). Labels can be confusing. 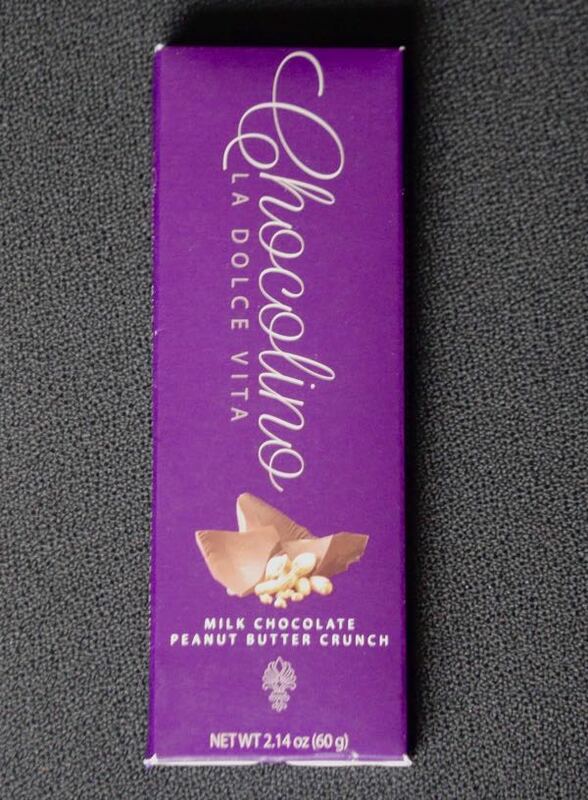 While the chocolate maker isn't clear, the Trademark for "Chocolino" (La Dolce Vita) seems to be owned by SSI G. Debbas Chocolatier, LLC* (Fresno, CA). 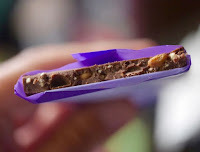 Today's sweet, soft milk chocolate bar contained "bits of crunchy peanuts (and) soft peanut butter chips." 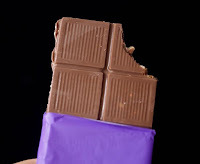 *G. Debbas Chocolatier is a name associated with several chocolate confections and bars and a private label production business. Private label businesses don't always want to reveal when/what they're making for others so perhaps this choice extends to their own brands as well.